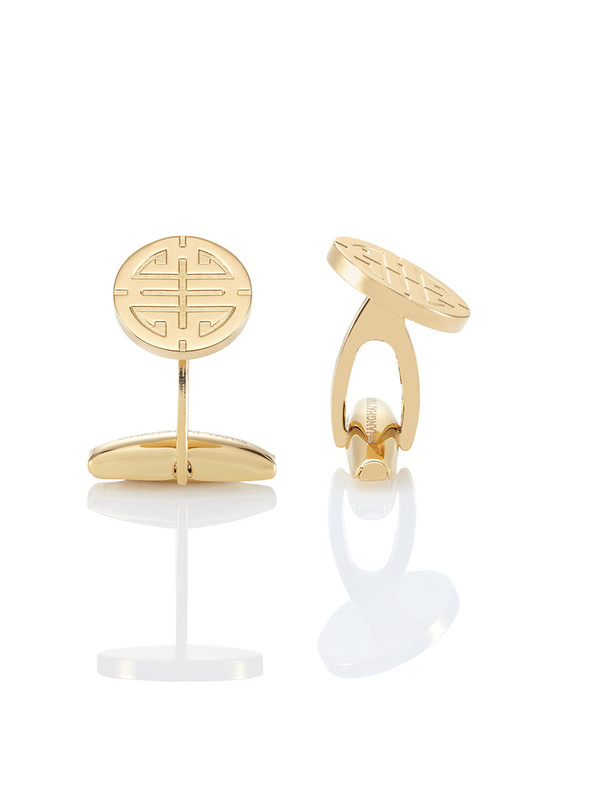 Make a style statement with these cufflinks, perfect for work or casual wear. 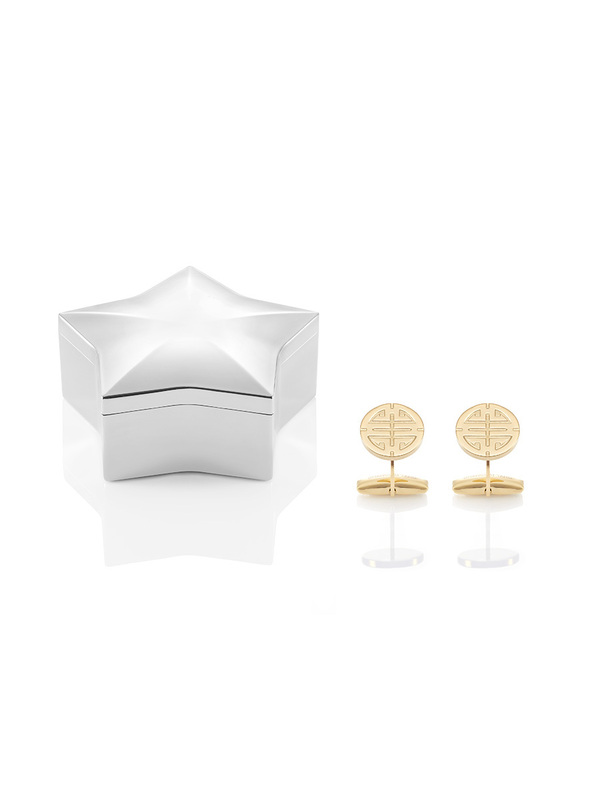 Handcrafted in Italy and designed in the shape of the Shou, denoting long life and prosperity, they come in gold plate. Colour: Gold Made in Italy.